When auditing utility bills, HVAC systems account for a large percentage of the total expenses. This percentage varies a lot with time and maintenance frequency. 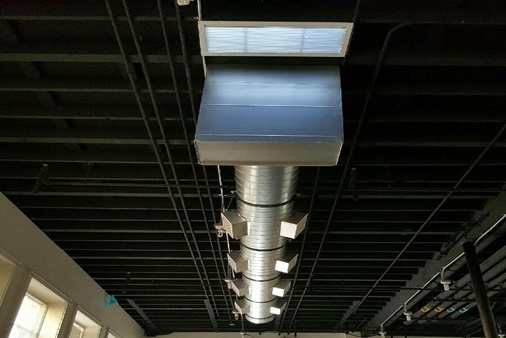 One major component that requires a frequent look-in to prevent an unplanned increase in this bill are the Air Ducts. They alone can constitute for about two-fifths of heat energy supplied to and taken away from the house per kW. The air ducts might take even more power than it should when certain problems peculiar to its parts arise. Cracks and leaks: Leaks constitute roughly about sixty percent of the most common problems that occur with the ductuctwork in HVAC systems. The leaks cause a continuous loss of the air to be pumped around the designated space. This makes the systems use more energy in overcoming the hot/cold air supply deficiency. That is needed to provide the required comfort to the designated area. The material used in constructing the ductwork are usually to blame for this faults. Metals rust with time, and plastics become brittle over time. These develop faults in the materials which emerge with more time as leaks. Contamination: Air filters are placed in the air channels to cater for the inevitable attack of contaminants. Unfortunately, the reality is that with time, contaminants are bound to enter the channels. This causes a series of problems most especially compromising air quality and in extension your health. The effects of contaminants on the air channels is what necessitates regular air duct cleaning. Restrictions: Inefficient air flow through blocked duct systems limits the delivery of properly air conditioning. This represents one common problem in conditioning systems because this blocks are caused by twists, chips, crushed ductwork. However, homeowners decide to allocate the job of fixing this to roofing or electrical specialists instead of HVAC professionals. Failure to fix this problem will affect not only the system lifespan due to frequent breakdowns. It will also result in an elevated energy cost in the utility bill. Connections: In the ductwork design, there are places that require connections and these connections must be analyzed frequently for their health. It is important that these joints have perfect fits always to prevent leakage and thus save power. It is equally possible that at these joints, sealing devices and materials are used. It is important that such a joint be observed periodically to know when to reapply a sealing material or device. Poor insulation: Just like everything else, imbedded insulation designs are temporal. When they fail, they cause the passing air to absorb or lose its heat. Thus, defeating the purpose for heating and conditioning. Therefore, one must look out for freeing the insulators of the air duct of impurities or replacing unusable parts etc. Everything depending on the advice of a professional in HVAC. Closed sections: Parts of the channels lacking closure contribute to energy loss, even when they are simply unattached. They draw hot and cool air away from the system in need of it. This may in turn make the space in need of the wasted air hard to condition. In summary, while there are a lot of other parts of the HVAC system most people focus their maintenance points on. Ensuring that the air-ducts of a heating, ventilation and air-conditioning system are performing optimally, should be crucial to their plans.